There were tons and tons of cookies. 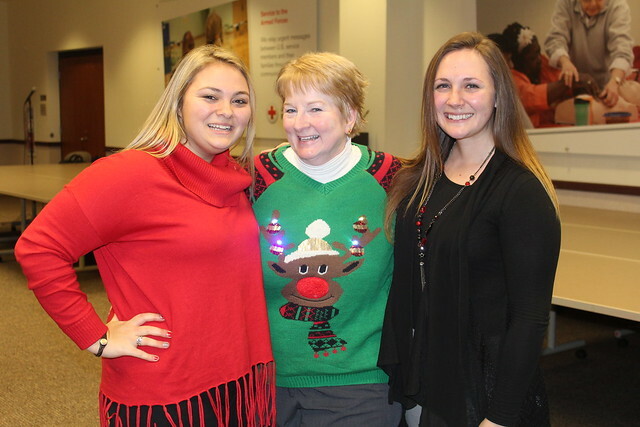 With food, friendship, board games, and – yes – cookies, staff from across the region gathered together at the Akron office to celebrate the holiday season. There were many activities, including a holiday song game where all in attendance were paired off and encouraged to sing a snippet of a holiday classic. The highlight was surely the duet, “Baby it’s Cold Outside” as sung by Mike Parks and new employee, Garland Hairston. In addition to cookies, singing, laughter and comradery, staff members collected toys that will be given to children who experience a home fire this winter. Click on the image above to view our Flickr album.